My iPhone Won't Share WiFi Passwords! Here's The Real Fix. You are at:Home»iPhone»Wireless»My iPhone Won’t Share WiFi Passwords! Here’s The Real Fix. My iPhone Won’t Share WiFi Passwords! Here’s The Real Fix. You want to wirelessly share a WiFi password with your friend, but it’s not working. 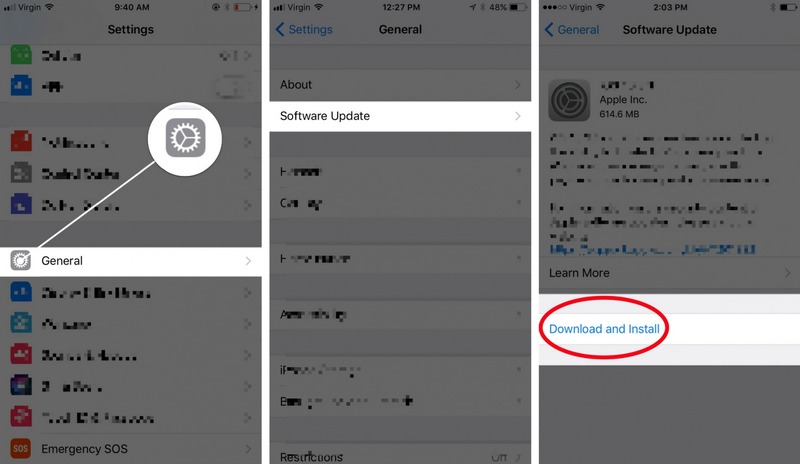 Although Apple made it easy to share WiFi passwords with the release of iOS 11, things don’t always work according to plan. In this article, I’ll explain why your iPhone won’t share WiFi passwords and show you how to the fix the problem for good. WiFi password sharing only works on iPhones, iPads, and iPods with iOS 11 installed and Macs with macOS High Sierra installed. Both your iPhone and the device you want to share a WiFi password need to be up to date. If an update is available, tap Download and Install. Keep in mind that in order to perform the update, your iPhone needs to be plugged into a power source or more than 50% battery life. Restarting your iPhone will give it a fresh start, which can occasionally fix minor software glitches and technical issues. To turn off your iPhone, press and hold the power button until the slide to power off slider appears on the display. Swipe the red power icon from left to right to shut down your iPhone. Wait approximately half a minute, then press and hold the power button once again until the Apple logo appears directly in the center of your iPhone’s screen. 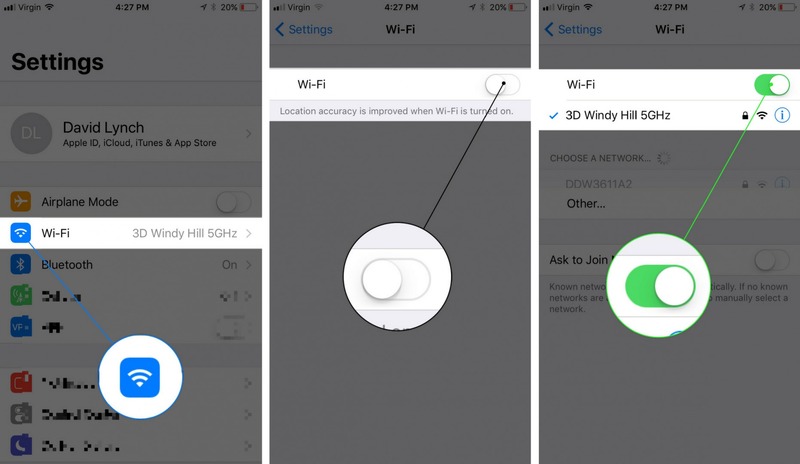 When your iPhone won’t share WiFi passwords, the problem can sometimes be tracked down to its connection to the WiFi network you want to share. We’ll try turning WiFi off and back on to fix any minor connectivity issues. To turn WiFi off, open the Settings app and tap Wi-Fi. Tap the switch next to Wi-Fi to turn it off — you’ll know Wi-Fi is off when the switch is gray and positioned left. Simply tap the switch again to turn it back on. If the devices are too far apart, your iPhone won’t be able to share a WiFi password. We recommend holding your iPhone and the device you want to share a WiFi password with right next to each other, just to eliminate any possibility that the devices are out of range of one another. 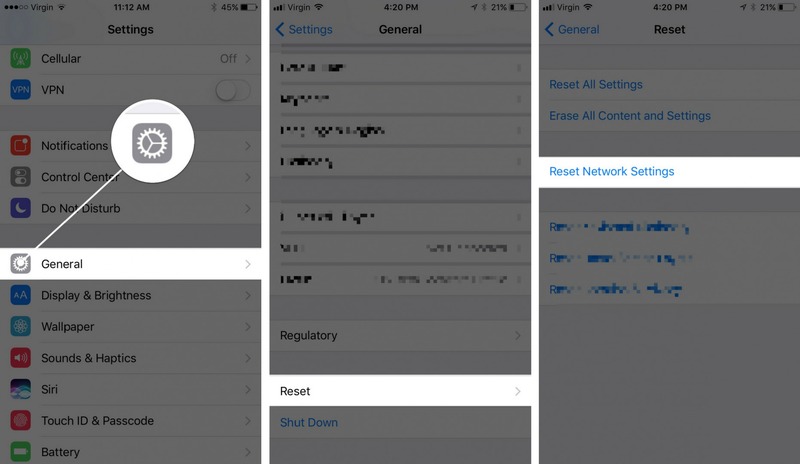 Our last software troubleshooting step is to reset network settings, which will erase all of the Wi-Fi, VPN, and Bluetooth data currently saved on your iPhone. I’d like to point out that if you’ve made it this far, it might just be easier to have your friend or family manually type in the WiFi password, because after you reset the network settings, you’ll have to reconnect to the WiFi network and enter its password. To reset network settings, open up the Settings app, then tap General -> Reset -> Reset Network Settings. You’ll be prompted to enter your iPhone passcode, then tap Reset Network Settings when the confirmation alert appears on the screen. If you’ve completed the steps above, but your iPhone still isn’t sharing WiFi passwords, it may be a hardware issue causing the problem. There’s a tiny switch inside your iPhone that allows it to connect to WiFi networks as well as Bluetooth devices. If your iPhone has recently been experiencing lots of Bluetooth or W-Fi related issues, that antenna may be broken. If your iPhone is still under warranty, we recommend taking it to your local Apple Store. Just make sure you schedule an appointment first! If your iPhone is no longer protected by an AppleCare plan, or you just want to have your iPhone fixed as soon as possible, we recommend taking a look at Puls, a repair company that will send a certified technician to you in less than an hour. 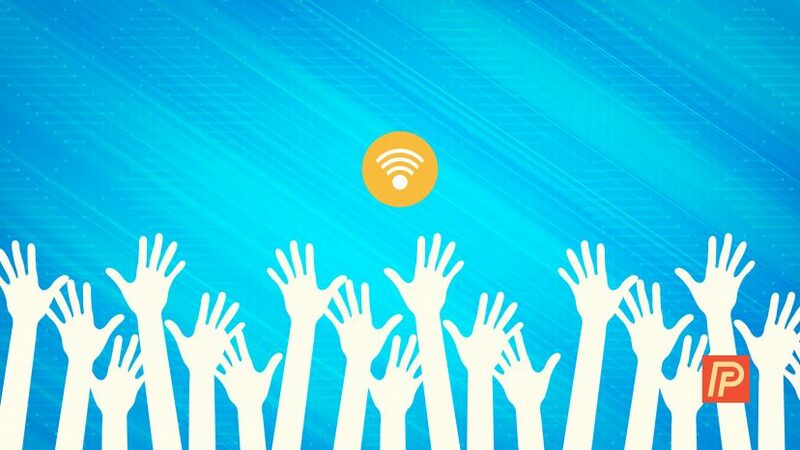 You’ve fixed the problem your iPhone was having and now you’ll be able to wirelessly share WiFi passwords! Now that you know what to do when your iPhone won’t share WiFi passwords, make sure to share this article on social media to save your friends and family from similar frustrations. Previous ArticleHow Do I Add Low Power Mode To Control Center On An iPhone? The Fix! Next Article How Do I Add Apple TV Remote To Control Center On My iPhone? The Fix!